Holiday season “officially” starts in November and December, but for some it starts much earlier. Forty percent of consumers begin their holiday shopping before Halloween each year. 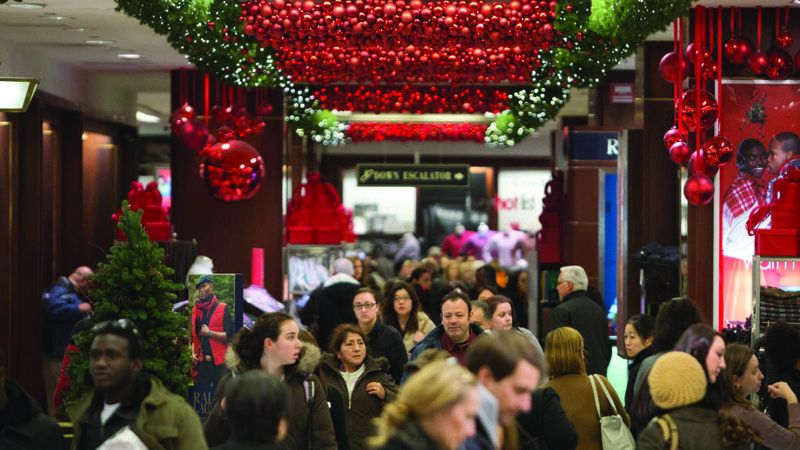 It is the busiest season with some retailers accounting for 30% of their annual sales. The projected retail sales during the holiday season is around $700B. • The average person spends $740 over the holiday season. • Spending on gift cards has been increasing over the past 10 years. Hire & train staff. Given the seasonal nature and the extreme competition of the current job market, start looking at hiring and training staff. You want to put your best foot forward, and a highly trained and motivated staff is vital to handle the holiday rush. Plan out the specials. Think and decide what you want to have, and events you want to organize. Maybe a Halloween contest, black Friday/cyber Monday deals, and Christmas specials, as quick examples. Run an inventory check. Make sure you have or lined up the necessary inventory for your events and specials. Have a back-up plan. Based on your prior experience, come up with “what-if” scenarios and have back-up plans for these situations. Now that you have your ducks in a row, it’s time to let your existing and potential guest know about these specials. The earlier you let your guests know, the better off you are. Build event listings. Create events/specials on your website and social media accounts. If you plan to host any kind of event, it is better to have a landing page where your customers might sign up. Facebook events are great to spread the word virally. Promote on social media. Use your social media accounts to the hilt. The downside is that to maximize your reach, you’ll need to pay. Come up with an advertising budget that you can use to boost your reach to the max. And, pump out the email marketing. Social media is great, but nothing beats email marketing. Build your customer email list and start informing them about events. Include links to your website pointing to event pages and info on your specials. Spruce up the décor. Decorate your business early on, based on your planned activities for the season. Things like posters, lights and other decor will give your restaurant the festive look. The more the merrier and this applies to the holiday season. Have a plan as to what other local merchants/partners you can work with to maximize your impact. Partner up. Identify strategic partners with whom you can work with to execute co-marketing activities. What’s in it for them? Most groups won’t work with you out of the kindness of their heart. You need to come up with a value proposition for your partners, their customers and your customers. For example: Maybe work with your local mall. See if you can give their customers a free drink or appetizer if they come in with their Black Friday bill. Both the mall and your restaurant give both group’s guests incentive to cross-pollinate their patronage. Come up with an execution & promotion plan. This should include the customer base of yours and your strategic partners. Here’s where knowing who your guests truly are via Buyer Personas is key. Over the past 10 years, there has been an increase in the amount customers are spending on gift cards. As a small business, you can ride this wave! • Identify whether you want to have physical or e-gift cards or both. • Identify with whom you would like to partner with for gift cards. 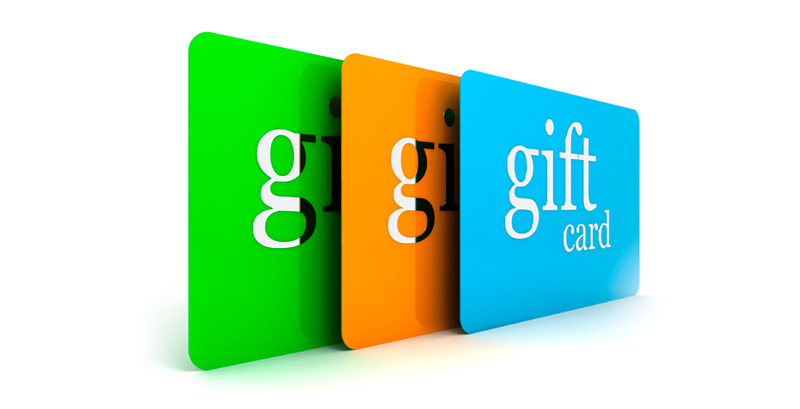 • If possible, have an offer on gift cards and promote the availability of the cards. Sell them online, social media and in your establishment. Even though this falls within the ambit of co-marketing activities, we want to emphasize the fact that the holiday season is also considered the season of giving. • Identify a local charity that your customers associate themselves with. • Approach them to organize a fundraiser, or some sort of an event. For example: Work with local your local Toys-For-Tots to raise funds for kids/toys. • If possible, involve your customers. For example, explore the option of involving your customers in organizing a Thanksgiving feast at a local soup kitchen. • Promote the partnership and announce the results so that your customers can understand what kind of impact you/they had on this non-profit endeavor. To have a great holiday season, it is imperative that you start early. Create a plan. Define what metrics you want to measure, so you can understand if you were successful for this year. You can use this info to improve your future holiday seasons. With the above steps we are positive that your restaurant will have a great holiday season. If you would like to talk to one of our business loan consultants about obtaining a working capital loan or business line of credit contact us today, or click here to request a free, no-obligation quote!